The warning came on Sunday as international aid has taken center stage in a test of wills between Guaido and President Nicolas Maduro in which Venezuela’s armed forces are seen as the pivotal player. “This a crime against humanity, men of the armed forces.” Accusing those blocking aid of being “almost genocidal,” he likewise warned that the military would be held responsible for the deaths of protesters—and reaffirmed his call for a mass march on Tuesday in memory of the estimated 40 people killed in disturbances since January 21. 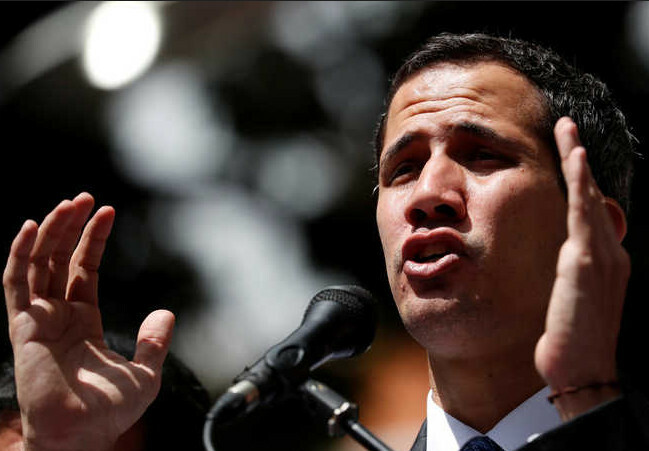 Guaido has offered amnesty for any members of the armed forces who disavows Maduro—but the military leadership still publicly backs the president. Speaking to AFP Friday, Guaido vowed to do “whatever necessary” to “stop the usurpation” of power and “save lives”—without ruling out the possibility of authorizing foreign intervention. And on Sunday, he said hundreds of volunteers had signed up over the weekend to help bring aid into Venezuela—with further shipments set to arrive in neighboring Brazil and on a Caribbean island. But Guaido on Sunday reiterated that he would not negotiate with Maduro—as he believes Maduro would use such talks to buy himself time.